of Londoners are aged over 85 years. 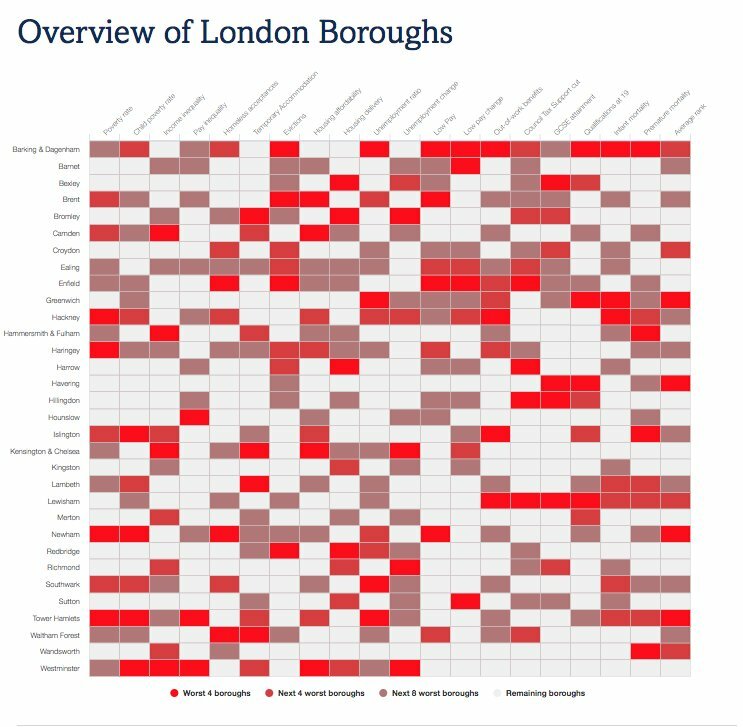 13% are aged over 65 in Outer London and 9% in Inner London. 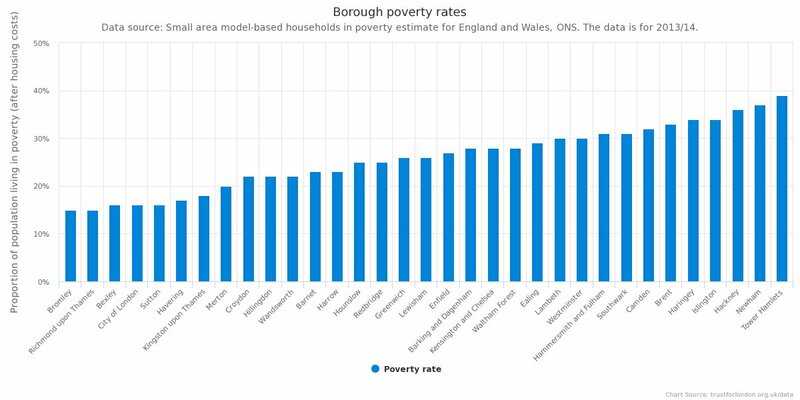 of London's pensioners live below the poverty line - down from 21% a decade ago, but still higher than the rest of England (14%). of pensioners in Inner London live below the poverty line. Although retirement age varies (and is rising), this data covers people who are aged 65 or older. 19% of pensioners live in poverty in London which is higher than in the Rest of England, where 14% of pensioners are in poverty. Pensioners are under-represented in the poorest 20% of people, with less than 15% of pensioners making up this group. They are also under-represented in the top 20% though, and are concentrated in the middle of the range. The number of pensioners in households in poverty has reduced slightly over the last decade, but there was no repeat of the dramatic reduction in pensioner poverty which we saw in the previous decade. There are fewer people in all age groups over 45 in London than there are in the Rest of England. Less than 2% of Londoners are over 85.